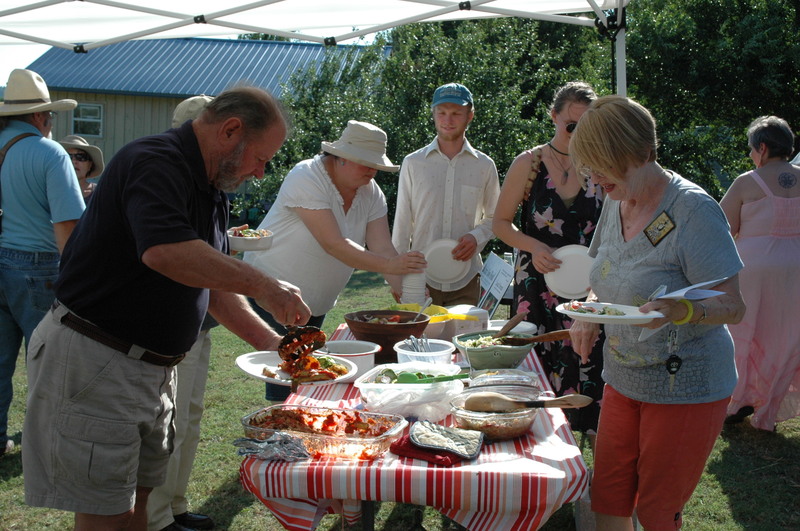 So the tomato tasting “contest” was more of a tomato tasting “event”, held Sunday at the Botanical Gardens of the Ozarks. 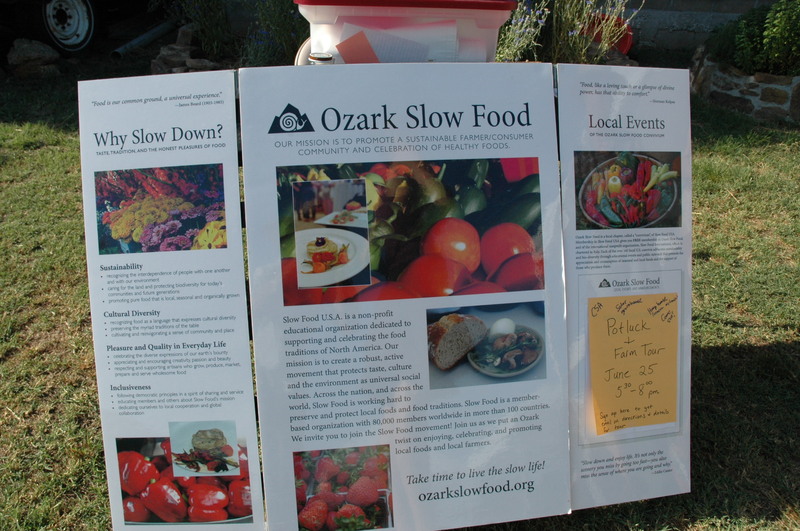 The Ozark Slow Foods Movement is the group that hosted the event, and they purchased Peron, Chocolate Stripe, Mexico Midget, and Grape Cherry varieties from our farm to put into the tasting. There were 60 varieties for the public to choose from. Paul says there were well over 200 people who waltzed through the hall. I say “waltzed” but they had to put in their time in line, which went out into the parking lot. Paul and Oliver walked over to the Botanical Gardens, whilst Isaac and I wo-manned the farm stand. There was a woman who walked by and said: “The Mexico Midgets were delicious!” I thanked her for the compliment and we talked tomatoes for a bit. She must have talked to Paul inside the venue because they were not marked as “Ozark Alternatives”. This woman told me of the ones she was excited to taste and was sorely disappointed, and the ones that surprised her like the Brandywine variety. It was $5 to enter this event to participate in the tasting. I wish I could have seen the crowd and the line, I don’t know if I would pay the $5 to taste, I don’t enjoy tomatoes enough to want to taste all of them…shhhhhh! Don’t tell anyone. I mean don’t get me wrong, tomatoes are awesome, I like them on a sandwich, I feel no need to explain myself any further. If you come by my Farmer’s Market stall though, I’ll tell you how good they are! The same day at the Farmer’s Market, we sold out of all that we brought. It was a good feeling, I must say. 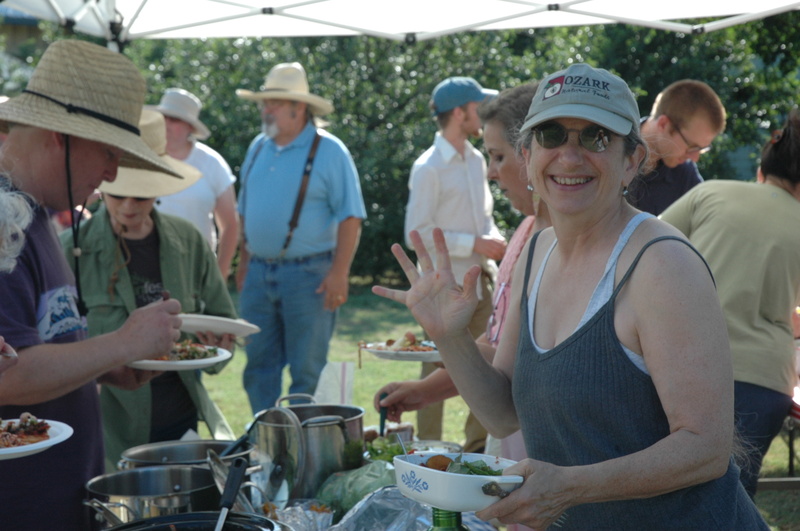 We had pints of Blackberries, several bunches of flowers, several quarts of tomatoes and a few of Okra. All of it gone. 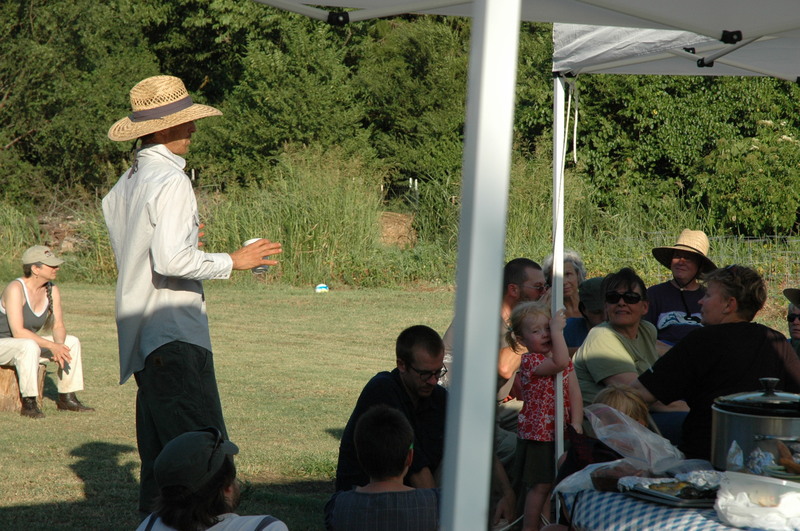 The crowd was all jazzed up about the tomato tasting so they were in the mood to buy. I wore my bonnet at the market that day and at least ten people complimented me on it. I couldn’t believe it. Usually I get a “that’s nice”, but really they’re thinking of Laura Ingalls Wilder, or Mother Goose. This day was otherworldly! “I don’t know”. Is my reply. “But I’ve seen you before”. I’m shaking my head, I have no idea who this is, not even the slightest inkling. I’m usually great with remembering faces. “Do you go to the farmer’s market?” I ask. “YES! Yesterday. You sold me blackberries!” He says and points at me. I look down at his little boy, I remembered his face. “Aaaahh! Yes. I did sell you blackberries!” Ha ha, and I walk away. It was a very surreal and awkward experience, but flattering at the same time. Lastly, Paul gets an email from someone who says that he spoke to brothers in a natural foods store in Missouri. They tell him all about the farm and their experience on the farm. 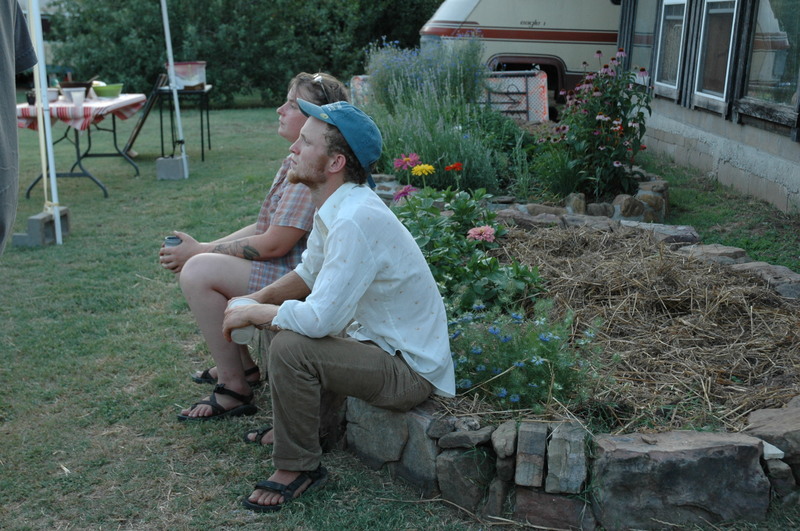 He’s intrigued, and apparently he has spent time at both Dripping Springs and Foundation Farm. Hmmmm….I wonder who those brothers could have been. I don’t know anyone from Ava MO. Life is sure funny sometimes.